– NRA Bylaws, Article X, Section One. 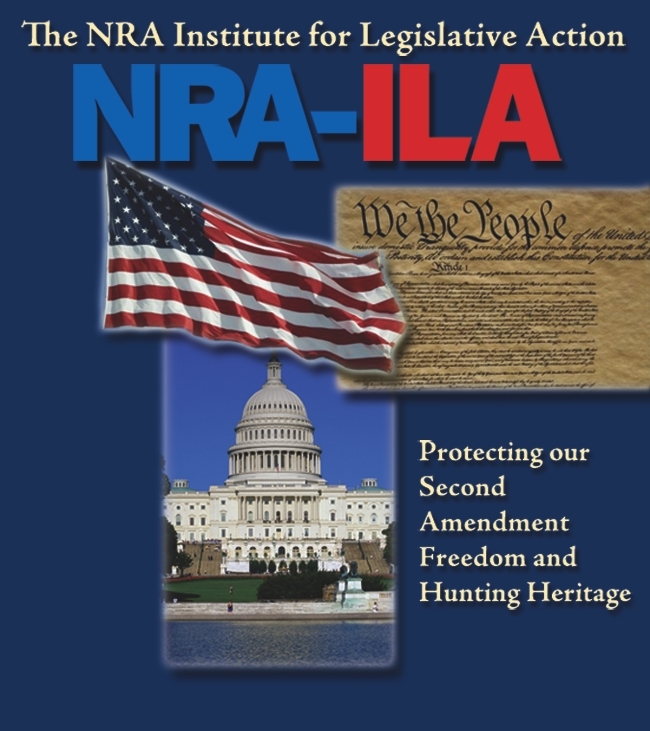 The NRA Institute for Legislative Action (NRA-ILA), established in 1975, is the NRA’s lobbying and political arm. Our reputation as the largest and most effective defender of the Second Amendment freedom and hunting heritage of law-abiding Americans is well known. Less well known is the full scope of our activities, and the record of success we continue to build. NRA-ILA is a single-issue organization, but that includes every issue that directly or indirectly affects ﬁrearms ownership and use. These topics include not only Second Amendment rights, but also hunting, wildlife conservation, law enforcement issues, product liability, and criminal justice reform. Even less well known is the fact that NRA-ILA operates almost exclusively on donated funds, above and beyond the regular membership dues paid by NRA members. Without the contributions made by hundreds of thousands of donors, ILA simply wouldn’t have the resources to undertake the critical efforts in which we engage every day. After you read about these activities, it is my hope that you will join our supporters on the front lines in defense of freedom. From the halls of Congress to town halls on Main Street, NRA-ILA maintains a vigilant watch over our Second Amendment freedom. When politicians propose pointless restrictions on our Right to Keep and Bear Arms, NRA-ILA is there. We do the research and come armed with the facts. We explain the real-world impact of gun control schemes to lawmakers who might not know otherwise. Most importantly, our ability to ﬁght successfully for the rights of America’s law-abiding gun owners is a direct reﬂection of the support of NRA’s nearly four million members. When restrictive legislation is proposed at any level of government, we marshal our grassroots supporters to make their voices heard. NRA members are alerted, and they respond in droves with letters, faxes, emails, phone calls and personal visits. Politicians understand the need to be responsive to the voters who elected them. NRA-ILA’s power does not come from Washington, D.C. Our power comes from millions of supporters from every corner and community of the nation, who are ready, willing and able to take an active role in the legislative and political process. That’s why NRA has won the number one slot in Fortune magazine’s “Power 25” list of the most influential lobbying groups in America. Legislative action is a constant war, fought on multiple battleﬁelds simultaneously. And like any successful campaign, it takes resources to win. The quickest way to change policy is to change politicians. When lawmakers target our freedoms, we target their careers. The NRA Political Victory Fund (NRA-PVF) is a federally registered Political Action Committee. NRA-PVF is one of the most important tools in the NRA-ILA arsenal, and is funded solely by the generous contributions of NRA members. Thousands and thousands of small contributions add up to fund one of the largest PACs in operation today. Unlike many other PACs, however, NRA-PVF does not limit its scope to simply making direct contributions to campaigns. The PVF war chest is deployed by NRA-ILA’s top strategists in every election cycle to communicate powerful messages to the general electorate. Political targets are identiﬁed. Massive campaigns of advertising, direct mail, and phone calls are developed. The NRA message blankets the media markets and moves numbers. Lawmakers win or lose. It’s all on the line every Election Day. Not just in top-line presidential races, but also in senatorial, gubernatorial, and congressional races…not to mention nearly ten thousand elections for state legislative seats. If a lawmaker can affect our freedoms, NRA-PVF is watching. And when a lawmaker threatens our rights, PVF stands ready to strike. 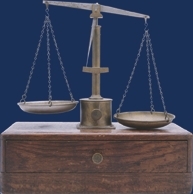 Legislative and political action programs cover the Executive and Legislative branches of government. But the third branch, the Judiciary, has become an increasingly important battleground in our defense of the Second Amendment. When our political adversaries can’t win on the ﬂoor of Congress or in the voting booth, they run to the courts. They have invested heavily in staff and trial lawyers to attack our rights under legal theories they call “novel”-- and we call reckless. But it still takes time, effort and resources to ﬁght every courtroom battle. NRA is ﬁghting back. We proudly helped pass the Protection of Lawful Commerce in Arms Act, which blocks reckless lawsuits against firearms manufacturers. America’s gun makers faced a certain peril. But we stepped in and saved the industry. Just as our opponents use the courts to attack our rights, our legal efforts have used the courts to solidify them. From representing law-abiding gun owners in the hurricane Katrina confiscations, to enforcing state preemption laws, to defending right to carry permit holders throughout the country, NRA-ILA is at the forefront of the ongoing fight for our freedom. When the Second Amendment is on trial, NRA-ILA is its defense team. 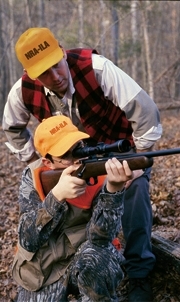 “To promote hunter safety, and to promote and to defend hunting as a shooting sport and as a viable and necessary method of fostering the propagation, growth, conservation, and wise use of our renewable wildlife resources.” – NRA Bylaws, Article II, Section 5. NRA is the largest pro-hunting organization in the world. NRA-ILA has actively fought to preserve and enhance hunting opportunities throughout the United States. In this century, NRA-ILA has defeated nearly every anti-hunting effort in Congress promoted by the radical animal “rights” extremists. ILA takes the ﬁght to our opponents by lobbying to eliminate barriers that keep young or novice hunters from taking to the ﬁeld. We continue to work for passage of laws that guarantee “No-Net-Loss” of public hunting lands in all states and at the federal level. We defend hunting rights on property that is forcibly annexed by local governments, and we protect critical hunting habitat from being paved over in the name of expanding development. We’re taking the battle to the public by winning the ratiﬁcation of meaningful state constitutional amendments afﬁrming the right to hunt, including hunting with traditional methods and the pursuit of traditional non-threatened species. And we’re launching campaigns against the enemies of hunting, by battling aggressive, extremist and well-funded animal “rights” groups such as the Humane Society of the United States (HSUS), and People for the Ethical Treatment of Animals (PETA). NRA-ILA is hunting for success. The season is always open, and there’s no bag limit.